Vasili Gletsos has been a fixture in the Portland craft brewing community for a number of years, most recently at Laurelwood since 2011. If you aren't aware, he's leaving Portland and returning home to Vermont, where he will be production and brewing manager at Hill Farmstead Brewing. He will remain at Laurelwood through early December. Gletsos landed in Portland back in 2004. Beer fans may be surprised to discover he did not come here for the craft beer climate. Nope. Like a lot of brewers, he has alternative talents and interests. In his case, his passion is/was puppeteering. That's what he hoped to pursue in Portland. "I was an avid home brewer before I arrived here," Vasili said. "But I had really no thought of becoming a professional brewer. I decided on Portland, after looking at a number of possible options, because I thought it was the kind of adventurous, artistic place where I could be an independent puppeteer." Things didn't work out exactly as he had hoped. He soon realized Portlanders were more willing to pay for good beer than puppet shows. That caught Vasili somewhat by surprise...but also helped land him his first brewing job a year later. "I'm a little too practical," he said. "I like to be able to pay the bills. As I realized what was happening here, I got more immersed in brewing. I joined the Oregon Brew Crew early on. The excitement circulating around craft beer was just what I was looking for." Like a like of today's brewers, Vasili entered the brewing trade without any formal training. He learned the craft via books and related materials assembled by his librarian mother-in-law. 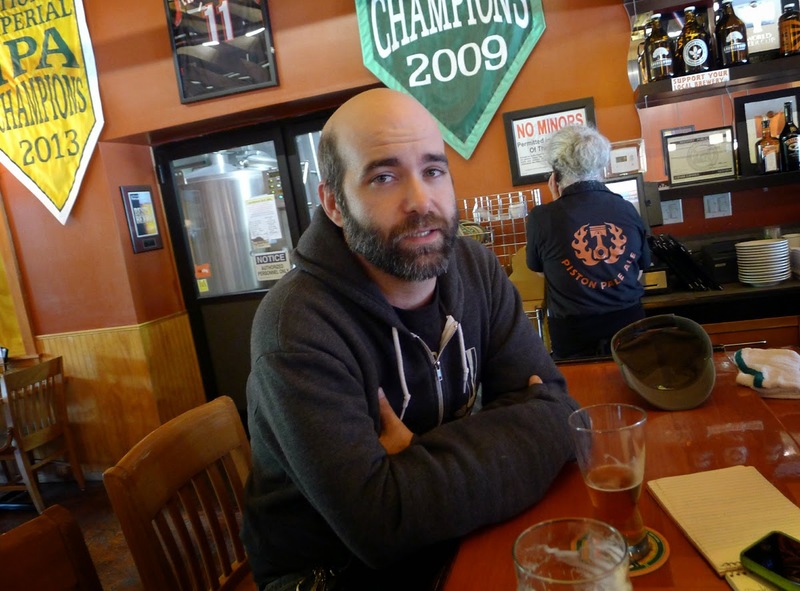 He parlayed his acquired knowledge into gigs are at BJ's, Rock Bottom and Portland Brewing. Along the way, he received a Falconer Scholarship and spent time at Siebel Institute in Chicago. Of course, Gletsos rose to his most prominent position in the local beer scene when he took over as Brewmaster at Laurelwood in July 2011. There would eventually be some memorable highlights, but things did not get off to a great start. There were significant challenges. First, some Laurelwood fans were suspicious. Many regarded the departed Chad Kennedy as a sort of brewing deity. Gletsos, who was coming over from Portland Brewing, had the credentials of a corporate brewer. Some thought he would turn Laurelwood's brewing program upside down. "People really didn't know my reputation when I arrived," Gletsos said. 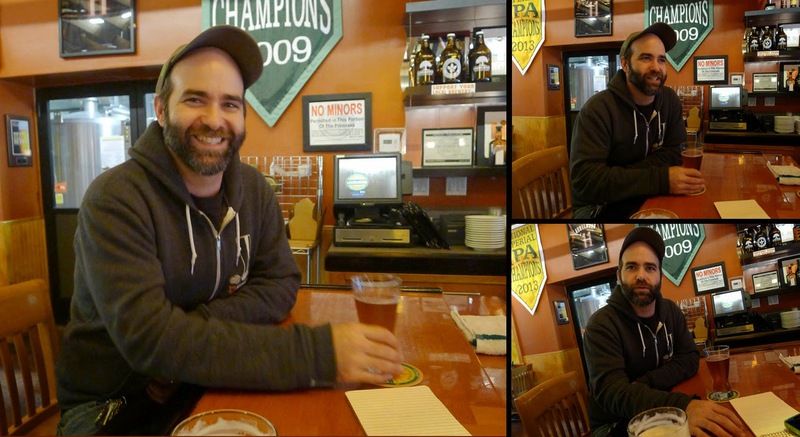 "I feel like we had been making some nice beers at Portland Brewing. We were definitely doing interesting stuff. But it was generally under-appreciated in the community, I think. So it took some time for me to be accepted here." The second challenge was more direct and tangible. It involved hops. Or the lack thereof. When Vasili arrived, Laurelwood had enough aroma and flavor hops to make only a few more batches of Workhorse, its flagship beer. New hops wouldn't be arriving for several months. Even then, they would not have enough hops to brew Workhorse for a full year. It was a tough spot. Gletsos had to plot a revisionist course acceptable to all. Or most. A difficult assignment. "I decided we had to stop brewing Workhorse," Gletsos said. "It was either that or dumb it down and I didn't want to do that. So we stopped making Workhorse and eventually launched Gearhead as our flagship IPA. It was a completely different beer, using different malts and hops. More of an English style IPA. Gearhead was not as well-received as it might have been...people kept comparing it to Workhorse, really an unfair comparison." Workhorse eventually returned as a pub-only beer in 2012. You could drink it in the pubs or take a growler home. They were using the same recipe, but some people complained that it wasn't the same. Vasili received a flood of negative emails and notes. He spent a fair amount of time trying to figure out what they were doing differently. Workhorse eventually returned to full distribution. What are some of the more satisfying moments from the last few years? "We managed to improve the quality, consistency and variety of all our beers," Gletsos said. "Some of that involved using different methods or materials and we've been able to introduce different styles of beers. That's the stuff I'm most pleased about when I think back on what we've accomplished on my watch." Part of the freedom to focus on improvement and variety is connected to the arrangement Laurelwood entered into with the Craft Brew Alliance in mid-2013. 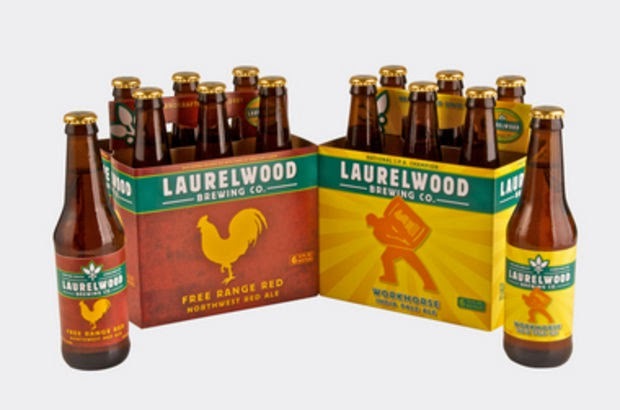 The CBA contract brews Laurelwood's flagship beers, Workhorse and Free Range Red, for distribution in 12 oz. bottles. 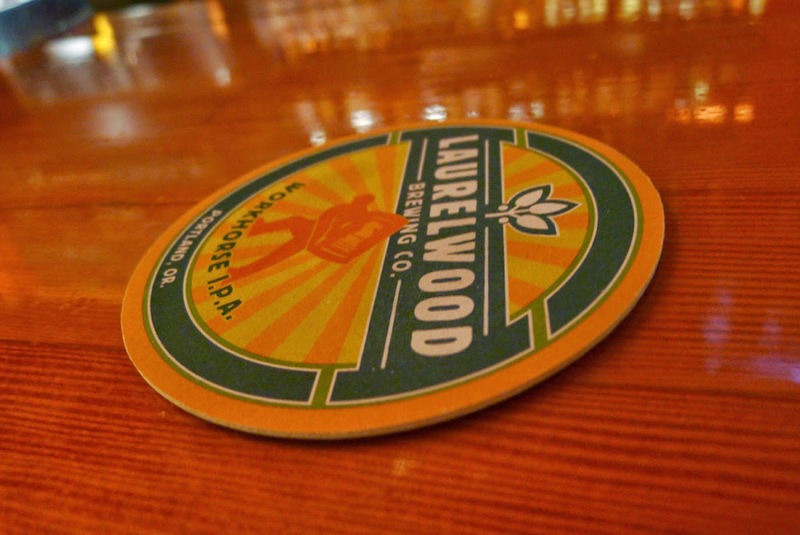 The deal has turned Laurelwood into a solid regional brand...and given brewers flexibility. "The CBA deal reduced our Workhorse and Red production substantially," Gletsos said. 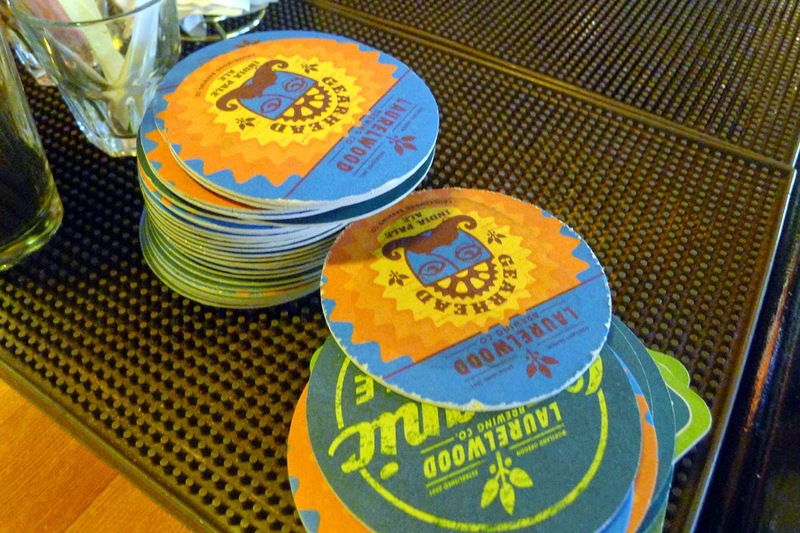 "That opened the door to more specialty beers and seasonals than in the past. It's great to be a hop house, and I like that part of our identity. But it's nice to be expanding the franchise, if you will, to include saisons, sours and more. That makes me proud." Gletsos' contributions have not gone unnoticed or unappreciated. "Vasili did a fantastic job for us," Laurelwood founder Mike De Kalb told me by email. 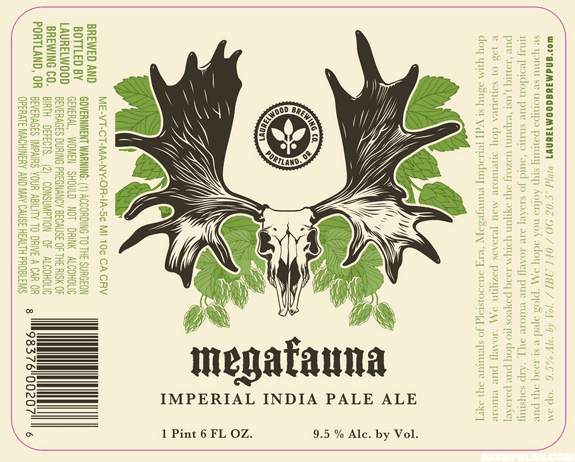 "He brought a calming influence to the brewery, expanded our barrel and specialty programs and invented the award-winning and wildly popular Megafauna. Along the way, he reformulated the hop bill for Workhorse, which is now his beer. He has also been been instrumental in facilitating the CBA program, which has been a big success for us. "Vasili is a terrific all-around guy and we'll miss him. I'm pleased that he has an opportunity with a great brewery and that he gets to go home. All of us here wish him the best." The move to Vermont isn't much of a mystery if you consider the details. It's essentially the combination of a great opportunity and the chance to be closer to family and the place he and his wife consider home. "Hill Farmstead Brewing is well known for its artisan beers," Vasili said. "They make hoppy beers, sours, farmhouse and barrel-aged beers. Everything they make is in high demand. They sell more than 90 percent of what they produce out their front door." Vasili will manage daily operations, keeping the place running smoothly so owner Shawn Hill,can focus on what goes on in the brewery. "With respect to Vermont, we have family there. Our parents aren't getting younger and they would like to spend time with their grandchildren. I really do love Portland and I am going to miss the friends I've made here. I wouldn't be making this move if it wasn't such a perfect fit from a career and family standpoint." My personal postscript to this story is short. 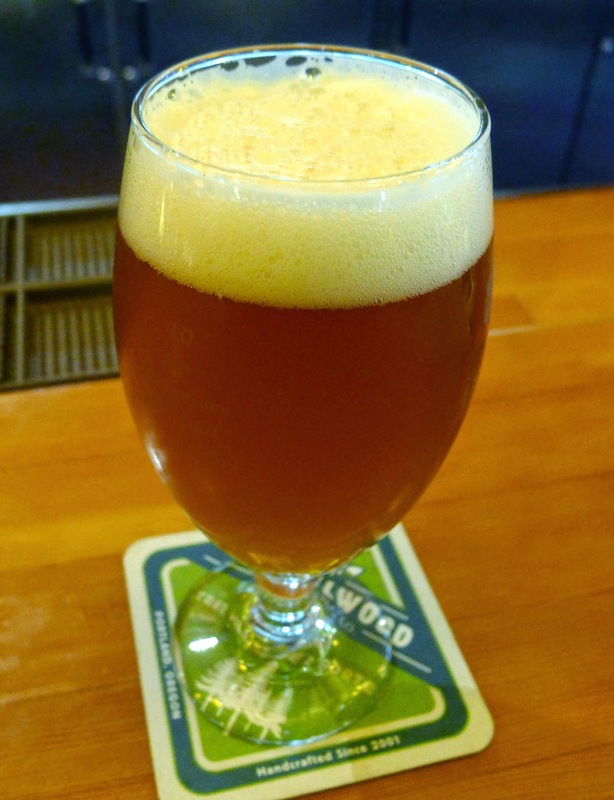 I started this blog around the time Vasili arrived at Laurelwood in 2011. I met with him formally and informally numerous times to discuss beer, brewing methods and more. I came to regard him as a unique talent and also one of good guys in craft beer. We're going to miss you, Mr. Puppeteer.